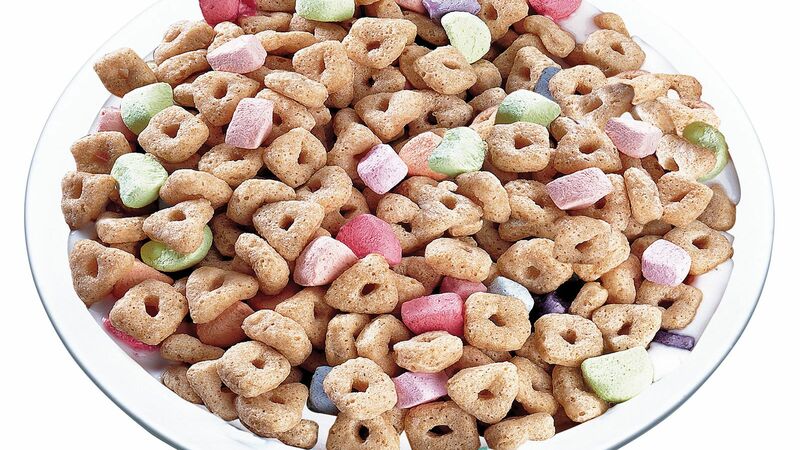 Marshmallows include happy little trees, charming little cabins, and lovely little bushes. Bob Ross is certainly up there among the stranger celebrities of all-time. A painter and television host, he wasn’t particularly dynamic at either, but that was his charm. His approach was gentle and calming, and he had an uncanny ability to draw people in with his curly mane and humorous characterizations of his painting subjects. Ross passed away in 1995, but with the help of the internet, his prominence is likely greater than ever. During his life, he apparently built his empire teaching classes and selling painting supplies, but more recently, demand has grown for more far-out Bob Ross items like a Bob Ross: Art of Chill board game and a Bob Ross Chia Pet. 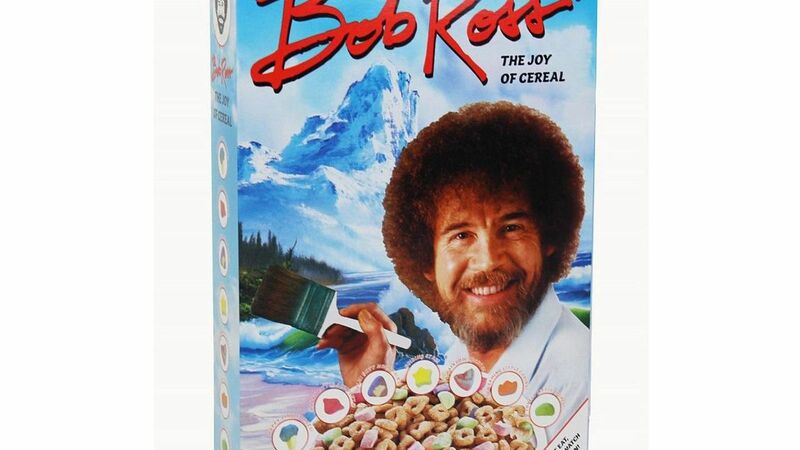 Well, here’s another product to toss on the list: A few weeks ago, the retailer FYE quietly released Bob Ross: The Joy of Cereal. 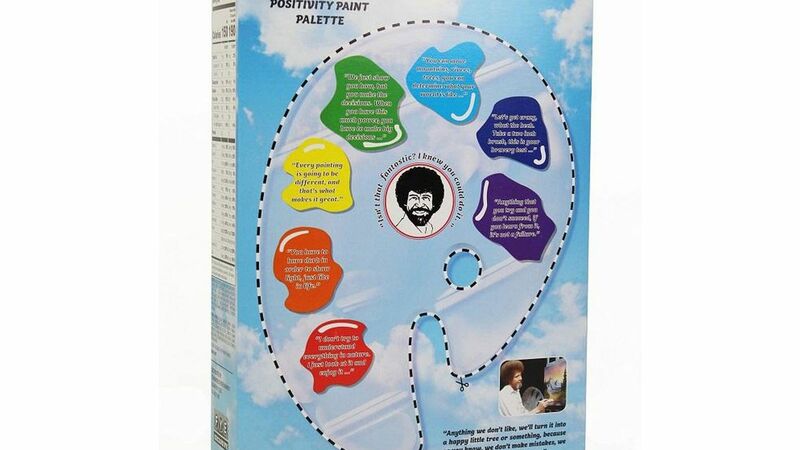 Meanwhile, like any good cereal box, it includes activities to help while away your breakfast: In this case, the back features a cutout “positivity paint palate” with quotes from Ross “for motivation, positivity and a great way to start your first painting. You can do it!” Only 150 calories per one cup serving and 60 percent of your daily iron! But the food fun doesn’t stop there: FYE also sells an exclusive Bob Ross Marshmallow Canvas “for DIY food crafts” and the very counterintuitive Bob Ross Positive Energy Drink — in case you need to get really relaxed, really quickly, I guess? There are even Bob Ross Happy Little Tree Mints — which offers up a chance to make a joke about Bob Ross’s breath, but I’m going to let the man R.I.P.